ANSYS HFSS software is the industry standard for simulating high-frequency electromagnetic fields. Its gold-standard accuracy, advanced solvers and high-performance computing technologies make it an essential tool for engineers tasked with executing accurate and rapid design in high-frequency and high-speed electronic devices and platforms. 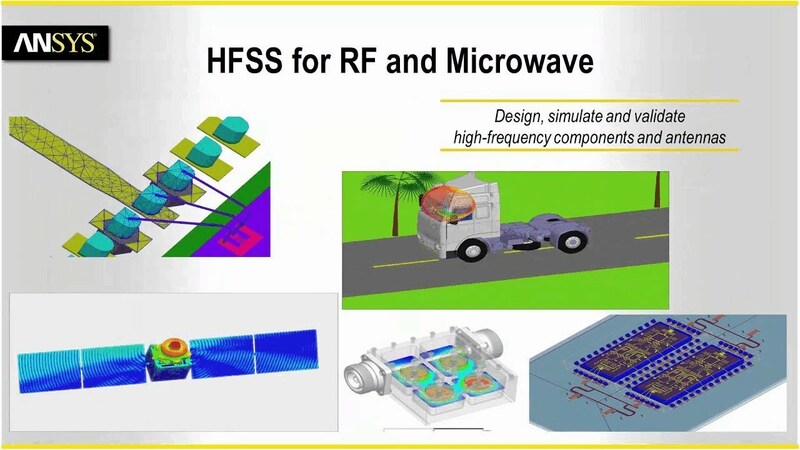 HFSS offers state-of the-art solver technologies based on finite element, integral equation, asymptotic and advanced hybrid methods to solve a wide range of microwave, RF and high-speed digital applications. ANSYS Inc, is a leading provider of development system and software solutions for the aerospace, defense, rail transportation, nuclear and industrial & automotive domains. System and software engineers use SCADE® solutions to design, verify, and automatically generate safety- and mission-critical systems and software applications with high dependability requirements using a model-based approach and a fully qualifiable/certified code generator. ANSYS SCADE product solutions easily integrate, allowing for development optimization and increased communication among team members. With ANSYS medini analyze key safety analysis methods (HAZOP, FTA, FMEA, FMEDA) can be implemented as all in one integrated tool for Functional Safety Analysis. It supports the efficient and consistent execution of the safety-related activities that are required by applicable safety standards for all industries. Our technology enables organizations ― no matter their industry ― to predict with confidence that their products will thrive in the real world. Customers trust our software to help ensure product integrity and drive business success through innovation. Founded in 1970, ANSYS employs over 3,000 professionals, many of them expert in engineering fields such as finite element analysis, computational fluid dynamics, electronics and electromagnetics, and design optimization. Headquartered south of Pittsburgh, U.S.A., ANSYS has more than 75 strategic sales locations throughout the world with a network of channel partners in 40+ countries..